Home » Blog » How to have a successful Jiankou hike? How to have a successful Jiankou hike? Posted on 08/05/2012 at 05:16. Jiankou Great Wall is one of the most spectacular and rewarding sections in Beijing region. It is also one of the most dangerous one among the different sections of Great Wall in Beijing. Jiankou (Arrow Nock in Chinese) is very “wild” and uneven at certain parts. The fire fighters near Jiankou are kept busy. In 2009, a newly married couple fell to their deaths from the Jiankou Great Wall after being startled by lightning. On their way to the Wall from a tourist garden in Xizhazi village, a Wall ranger tried to persuade them from going but they would not listen to it, and they never came back. A recent rescue mission took place on Friday, May 4th 2012. A woman was injured after she fell 10 feet off a cliff near the “Sky Stairs”, the famous scenic spot with a precipitous stair at Jiankou. The woman is around 30-year-old from Shandong province, who visited Jiankou along with other 30 hikers of her party. She luckily landed at the two hikers in front of her. According to local news report, the group arrived at 5am, trying to reach Jiankou from Xizhazi village at the north side of Jiankou. At 8am, they climbed up to the “Sky Stairs”. Without of any sign the woman fell down after passing through the watchtower at Jiankou. Around 12.30am, firefighters near Jiankou took her down to the foot of the hill. She was flown to a hospital in the afternoon by the firefighters with the Beijing Fire and Rescue Service’s Huairou district detachment. 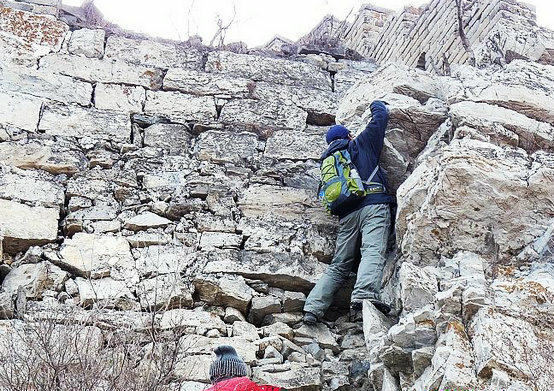 So far this year, firefighters near Jiankou have helped tourists who had got into trouble of Jiankou hiking four times according to the report. Proper preparation is very necessary Jiankou hiking which in turn will bring you more enjoyments. Six tourists, including three deaf visitors from Belgium, became lost on unsupervised sections of the Great Wall on Sunday, 5th, Aug 2012. 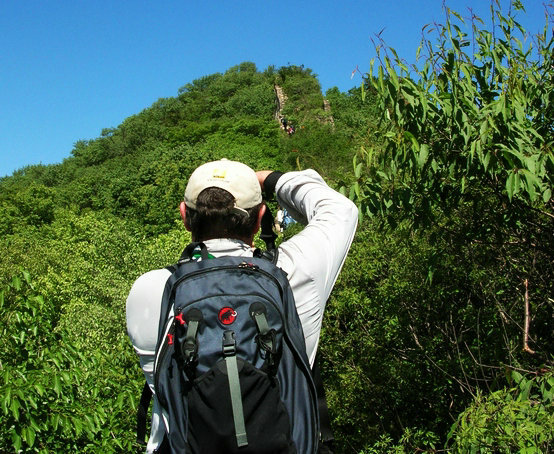 Minimizing your hiking weight: Once you have Jiankou hiking plans, Minimize your preparations if planning on doing a small 4-5 hour Jiankou hiking. A multi-day Jiankou hiking is of course a totally different story. In general, the rule is: “Proper preparation for more enjoyments”. Keep your feet happy: keep in mind to wear comfortable, practical, and durable hiking shoes or boots with proper ankle support. Hiking shoes or boots protect us from possible damage to our feet. Hiking shoes or boots will serve you better than tennis shoes. For details about clothing, visit Clothing for visiting the Great Wall. Do not have Jiankou hike alone: According to mountain rescue team, sometimes it’s difficult to hear a stranded hiker even you’re walking past them at Jiankou. if hiking alone Jiankou and get injured, Finding stranded people could become very difficult as many times stranded people have no idea where he/she is. You may have no one to help for quite a while. 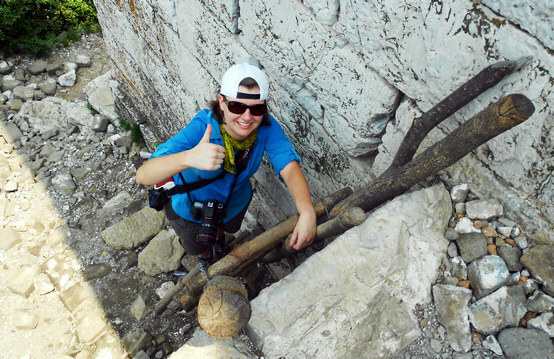 In reality, join our Jiankou hiking tirp will make you totally worry free! Water and food: I took four bottles of water last summer for Jiankou hiking, it turned out that I had just enough water to drink. Packing enough water and food will make sure you won’t go thirsty or hungry in the wildness. Be reasonably fit: You won’t need any training or any exercise before trying Jiankou hiking, However you need to be reasonably fit so as to enjoy the entire hike. The first hour of hike could be tough, a decent uphill to reach Zhengbeilou (North sharp tower). Jiankou hiking could be torture for you If you are not reasonably fit. I enjoyed my trip to Jinshanling and your ailrcte reminds me of the steps one of my friends had to climb during her visit to China. She said the steps were built out of the rock and were so narrow and so steep that several times she had to climb on all fours just to make her way safely up the stairs. Coming down was just as bad, and possibly worse, because she had to remain upright. I also found your bio very enjoyable reading and sometime would like to hear more about you sled dogs which sound like another great story. I loved visiting your blog and I’ll be back! Thank you Sameena, This is the best time to visit Jinshanling and Jiankou as the maple are getting red there. I will be at Jinshanling on this coming Saturday (I call it autumn hike) hope I can take some nice photos.